Index > News > The end of the At The Edge Of Time tour's! The end of the At The Edge Of Time tour's! Hansi has just posted a message on the band's official website for the end of the current tour and future projects. He speaks of a collector box soon to be released and whose content will be all albums released by Virgin! A long (far longer than expected) journey has more or less come to an end. After having had great fun with our Greek and German friends some weeks ago, we are now preparing ourselves for the final show here in Germany. Even though being on the road is always a very enjoyable experience for everyone in the band, it, on the other hand, demands a lot of time and makes it almost impossible for us to really keep our focus on songwriting. It therefore became more and more obvious to us that there had to be a stop to our touring activities to maintain a proper songwriting cycle. It will be a challenging but also a very exciting period for us. Having an album like At The Edge Of Time in our rearview mirror is a curse and blessing at the same time. 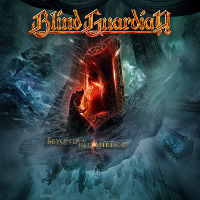 No matter if we try to finalize the orchestra project or start the songwriting for the next new "regular" Blind Guardian album, it will demand our full attention during the next 24 months or perhaps even more. So, the final chance to see us live will be the Rockharz festival in Ballenstedt, Germany on Friday July 13th. 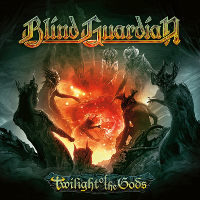 I am absolutely sure that there will not be any Blind Guardian shows before autumn 2014. So, do not miss this one! The box to be called The Magic Box will be released on January 28th and will contain 15 CDs! !